With the demise of Google Inbox, many users of the service are in the hunt for their new e-mail interface, and because there aren’t many effective alternatives to Inbox, except Spark Mail maybe, most users will likely migrate back to Gmail. And many do not want to! Now the thing about Gmail is that it’s cluttered. It doesn’t sort e-mails into categories, the signature feature of Inbox aside from its simple, clear user interface. While we can’t do anything about the first problem, there is something we can do about the interface on Gmail. 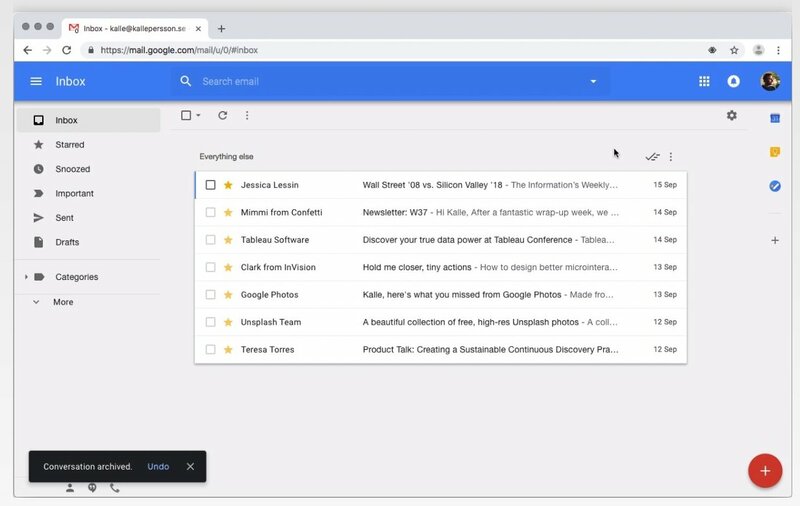 If you’re on Google Chrome, you can install the ‘Inbox Theme for Gmail’ extension from the Chrome Web Store and whoop!, the addon copies most of Inbox’s user interface to Gmail, giving it a more organized, clean look. This extension is supported on all Gmail accounts, including the G Suite accounts. The developers have said that they plan to bring this extension to Firefox and Safari as well in the near future. So, Inbox fans, maybe one step forward, two steps back?